The everyday lives of working-class inhabitants of Albert Square, a traditional Victorian square of terrace houses surrounding a park in the East End of London's Walford borough. 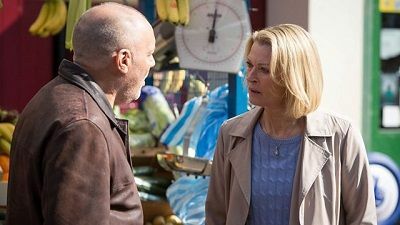 Pat's suspicions are heightened when Patrick tells her that Janine and Paul have fallen out. She thinks that Paul is hiding something and tells Ricky that perhaps it is time to have a talk with Paul.Sam wakes up a happy woman and Sharon applies for a bank loan to start up the club.While Kareena is delighted that Tariq has paid her a compliment, Mickey is disgusted that Tariq is leading her on and tells him that it is time for the truth.Meanwhile, Lynne sticks her oar in with Janine as she tries to protect Charlie but only succeeds in doing him out of a job. 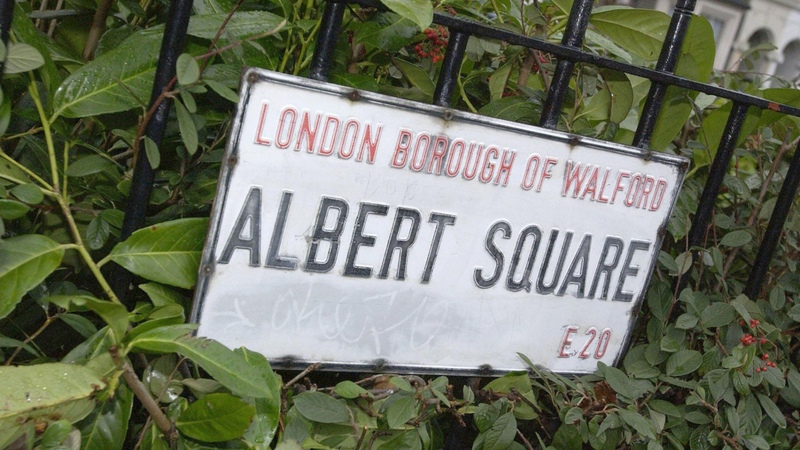 It is the week of EastEnders’ 30th anniversary and it is a week of revelations, secrets and surprises. Peggy Mitchell is back in Albert Square, but why has she returned? It is the night of Ian and Jane’s wedding, but with secrets set to be exposed, will everything go to plan? This episode contained some scenes broadcast live. Sharon tries to make Phil Reconsider his decision. Whitney comes up with an idea to surprise Lee, Kyle is offered an exciting career opportunity, while Kathy has plans to help the Beals financial problems. Arriving home, Alfie’s swept up in the Vic’s New Year celebrations. Fed up of hospital, Kat pulls out her drip, commandeers a taxi and heads home. Every time Alfie tries to get upstairs to see Tommy, something stops him. He finds Charlie slumped in a corner, drunk. After sorting out Fat Boy, Kim and the sound system, Alfie finally makes it upstairs. When Kat arrives home, she’s surprised by the quiet atmosphere in the bar. 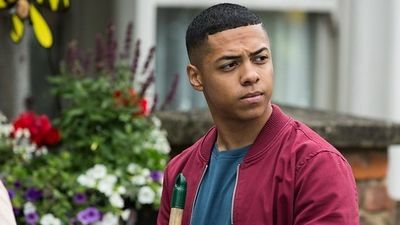 Excited, Kat bursts into the bedroom, but stops when she sees paramedics with a sombre Alfie, Charlie and Mo. Kat realises her baby’s dead. Ronnie returns to the flat holding a baby. Roxy arrives and finds Ronnie shaking and tearful. Roxy asks what’s wrong, Ronnie tells her it’s James. Roxy’s relieved to find a perfectly healthy baby in the cot and doesn’t realise it’s Tommy, not James. 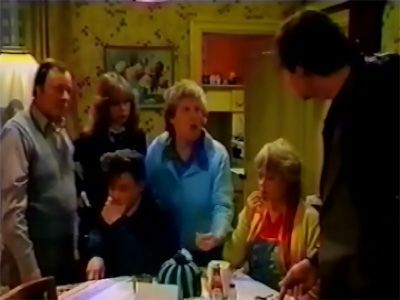 Ronnie’s about to tell Roxy what’s happened but Christian interrupts them, guilt ridden after kissing the piper. Roxy leaves, promising she’ll come back in the morning. 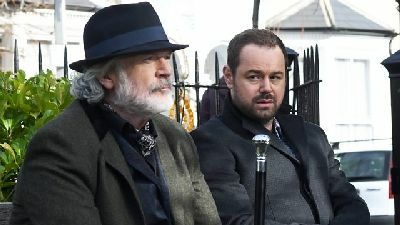 Ronnie suddenly realises what she’s done, she has to give Tommy back now. 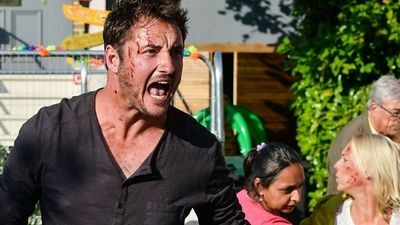 On her way across the Square, Ronnie realises she’s too late when she sees an ambulance and Kat arriving home. Just then Jack gets out of a taxi – he’s finally home and is thrilled to see his wife and new son. Carol agrees Connor can stay, but when Bianca rings to say Whitney’s on the way home, she sends him away. Connor passes Whitney in the Square. She invites him home, but he claims he’s not feeling well. Whitney’s upset so Connor kisses her. Everyone’s drunk at the Vic. 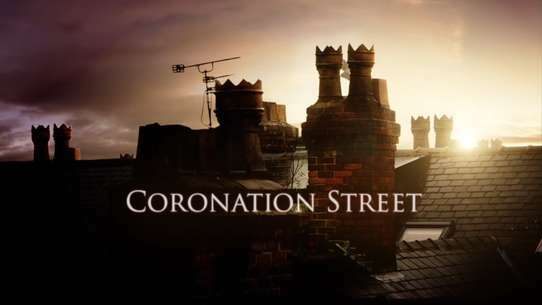 Kim flirts with Fat Boy, Jane falls into Masood’s lap and Jodie tells Darren he’s lovely when he nearly proposes. Ricky tries to find Whitney a new man. Carmel and Denise do their best to talk Masood out of his plan. Lee searches for a way out. Sad news rocks the residents. The Carters fear the repercussions of their actions. Kim prepares to learn the truth about her and Denise. Tiffany plays matchmaker. Tension mounts between Stacey and Martin as they struggle to put their differences aside. Mariam and Arshad ponder their future. Ronnie continues with her mission to find Roxy. Kyle and Martin face the reality of their actions. Ian attempts to solve his problems, but will the plan work? Patrick offers his advice to Libby and Denise. Roxy attempts to impress Amy. The Fowlers celebrate Stacey's birthday. 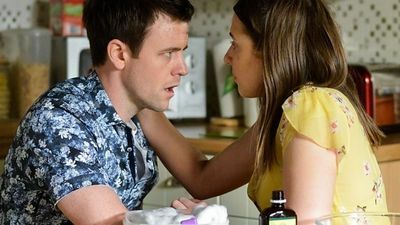 The Reality if Phil's situation hits home, Jane opens up to Stacey about her marriage, and the pressure grows for Ronnie as Jack Pushes ahead with his plans for their future. Linda holds holds what she hopes will be a fun-filled ladies' night, while Ian has a big surprise for Kathy.